children two options daily: a Red Option (meat) and a Green Option (vegetarian). In the summer term, children also have a Blue Option which is a packed lunch to take outside. Children order their meal daily each morning in the classroom. Parents are asked to send dinner money into school in a clearly marked envelope on a Monday morning or preferably pay online. The school office can provide you with the log on details you will require for each child. 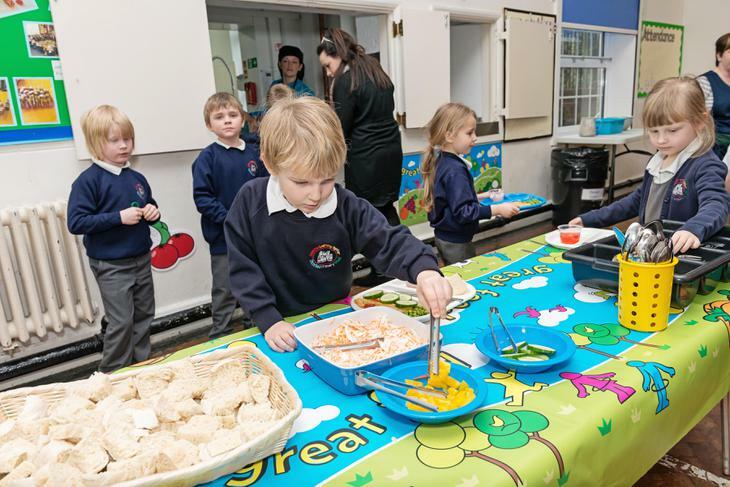 Children are more than welcome to bring a packed lunch if they would prefer. We encourage the children to have a balanced healthy lunch, so please consider this when putting together packed lunches. Our school is a nut free school, so please ensure packed lunches do not contain nuts. 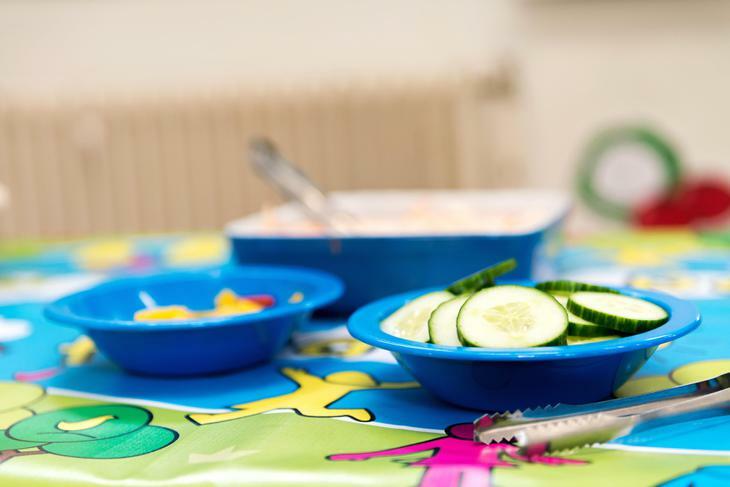 We also have pupils in school with food allergies, so could you please explain to your child that they must not share their lunch. Year R, 1 & 2 are entitled to Universal Free School Meals. For Year 3 to 6 meals cost £2.15 per day. HC3S offer the Year 3, 4, 5 & 6 children a morning tuck shop where they can buy a healthy snack. Children are responsible for their own tuck money and require no more than £1.00 a day. Year R, 1 & 2 children do not use the tuck shop.as they are provided with a snack of fresh fruit or vegetable at morning break. 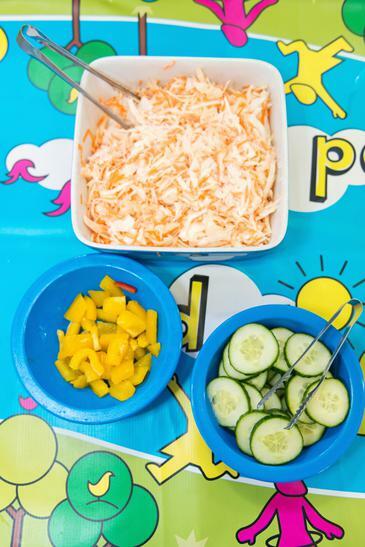 Children can bring in a healthy snack from home for morning break time.